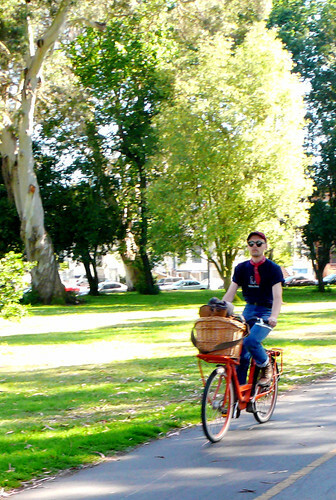 SF men cycle in style!!! That's the super awesome Batavus Delivery Bike. and that is the super awesome Kendal riding it!